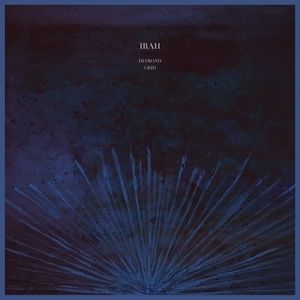 Mesmerizing vocals, existential lyrics, atmospheric keyboards, and creative drumming create the magical, intuitive, intense, and rich take on dream pop that is IRAH. IRAH is the brain-child of Copenhagen-based Stine Gron and Adi Zukanovic. They find creative power in their spiritual awareness and have a truly unique ability to create atmospheric dream pop that reaches for the stars and beyond without losing touch with the earth beneath our feet. On their Diamond Grid the drums are played by the renowned Seb Rochford (Polar Bear, Patti Smith, Brian Eno, etc.) For fans of Massive Attack, Kate Bush, Weyes Blood, Björk, Portishead, Julia Holter, Charlotte Gainsbourg.